Jenny Macke is a wild and wiley dancer. She is a weaver of mystery and deep lover of the earth. Her dance facilitation has been rooted in the 5rhythms for the last 8 years and continues to evolve down many branches of embodied movement. Jenny began teaching movement through Nia 14 years ago, evolved to holding sacred space for women inspired by Heather Munroe Pierce’s dance circles, she held ecstatic dance community space in Bellingham for many years before becoming a 5rhythms teacher and now works especially with the wild and still web of energy found in the natural world. She is greatly influenced by the witnessing work of Authentic Movement, Soul Work of the Animus Institute and Bill Plotkin & the evolving embodied mindfulness work of the Open Floor. She honors all people’s dances and the many worthy paths to investigate coming home to wholeness of the soul through the freeing & wild dance of the body. She lives among a tribe of wild hearted dancers in Bellingham, Wa and travels throughout the US teaching workshops. Shantala ~ Benjy and Heather Wertheimer lead kirtan (sacred chanting) worldwide as the duo Shantala, with soul-stirring vocals, sacred lyrics and exotic instrumentation. The weaving of Benjy’s Indian classical singing and instrumentation with Heather’s soaring vocals is freshly original and profoundly moving. Together they create music with beauty, passion, and reverence. Dean Evenson and Soundings of the Planet ~ Dean Evenson is one of the true visionaries of the Ambient/New Age musical genre–a prolific musician and composer, an entrepreneur, media pioneer and the co-founder of Billboard-charting independent music label, Soundings of the Planet. At every turn, Evenson’s life has taken bold steps in new and exciting directions. The success and pioneering nature of his creative work attest to a dynamic personality and a life-long commitment to the positive evolution of life on this planet in relationship with the natural and spiritual world. Evenson’s story is that of an artist, technological innovator, broad-minded thinker–a modern-day Renaissance man. Sonic Tribe consists of Scott Huckabay – Guitar, Dean Evenson – Flute, Digi-horn, Daniel Paul – Tablas, Gina Sala – Vocals, Rita Glassman – Vocals. Middle East meets the Outback in this passionate world beat offering laced with ambient, richly layered grooves. Trance guitar of Scott Huckabay, didgeridoo by A.B. and tribal rhythms by Daniel Paul create a powerful pulse for the exotic vocals of former lead vocalist for Cirque du Soleil, hypnotic flutes by Dean Evenson and spirited keyboards to weave their magic. An exciting merging of cultures takes you on an evocative journey of soul and spirit. Drumspyder and Scott Sterling brings a deep love of rhythm, drums, and dance to his distinctive style of electronic fusion. As an expert percussionist specializing in the Mediterranean family of instruments (framedrum, tambourine, and Arabic tabla), he weaves traditional rhythms and contemporary bass sounds into finely sculpted grooves, equally inspirational to the dancefloor and the on-stage performer. A Drumspyder set connects the audience with rhythm in all its modalities – a journey from slo-mo, slinky bass, through mid-tempo funk to high-energy tribal house. The past year has seen Drumspyder appearing at festivals throughout North America, including Enchanted Forest, Photosynthesis, Gratifly, Shambhala, and MEME, as well as the Hadra Trance Festival in France. Shine, has been playing, performing, doing sound healing and teaching didjeridu for over 18 years. He was initiated into healing by an Australian aboriginal Elder, Deepak Chopra Eckhart Tolle, Andrew Wiel , Ram Das have all experienced Shine’s work. Burke Mulvany is a multi-instrumentalist whose passion for improvisation, harmony, and musical connectivity is fueled by his deep desire to help heal the world through musical expression, one song at a time. 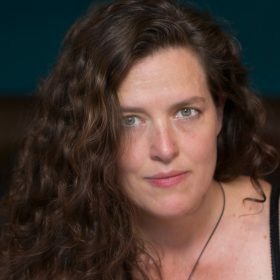 Gina Salá is a vocalist, composer, music director, sound healer, and teacher from Seattle whose love of the human voice has taken her to performing and studying throughout much of the world. She has been chanting since early childhood and studies, and shares cross-cultural singing, sanskrit, mantra and chant. She has performed at the US Pentagon, the US Capital, the United Nations, and s principal singer for Cirque du Soleil’s “O”. With humor, devotion and a repertoire spanning 23 languages, Gina Salá shares her passion for singing us awake to who we are!